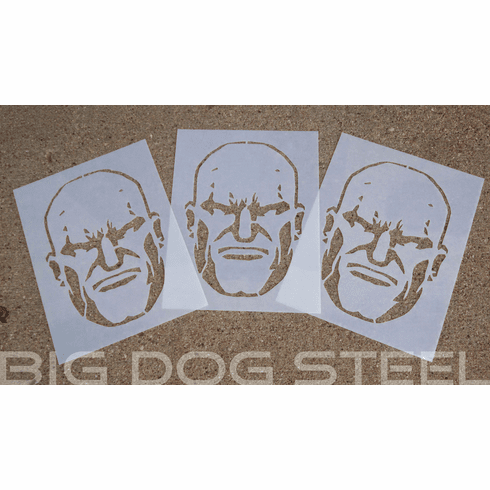 *NEW* Heavy Duty, 14mil Thick, laser cut mylar Head Target Stencils. Material resists paints and solvents, will hold up to hundreds of spray paintings. These bad boys are in stock and ready to ship for just $7.99, when ordered with any of our Texas head targets, Snipers Hide or Head hunter targets! Stencils are for customer use only. Stencil image is copyrighted and protected. Not for commercial use or resale.